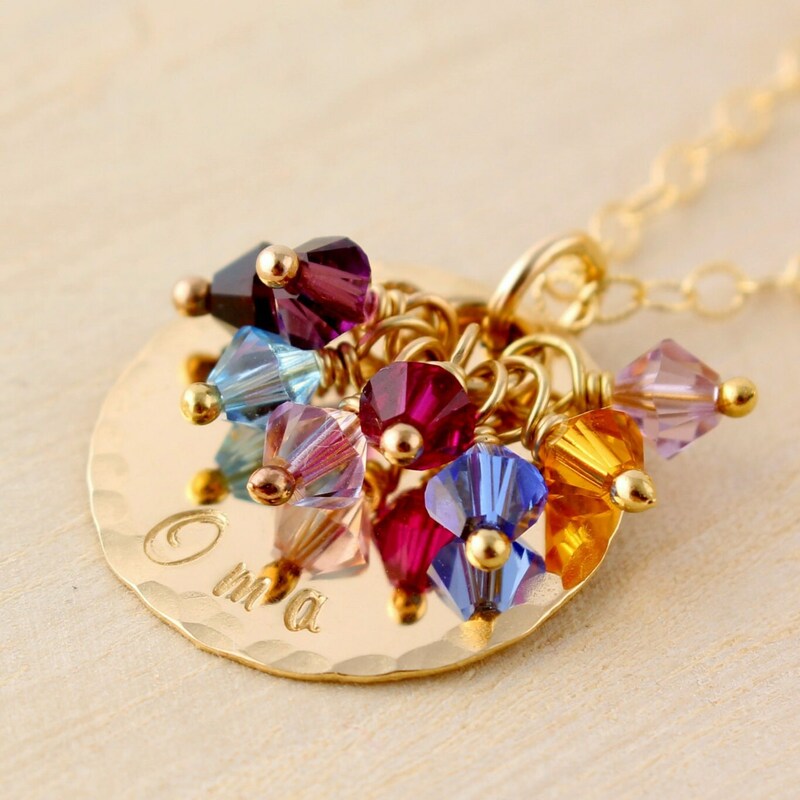 This Oma necklace is the perfect gift for the grandmother in your life! 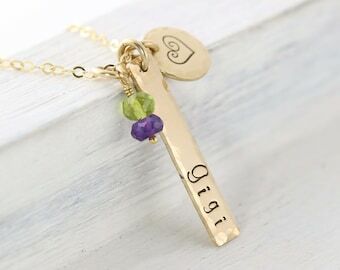 The gold filled round disc with a hammered perimeter can be customized with any name, such as grandma, mimi, gigi, mom, etc. 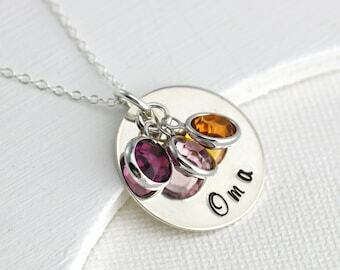 Further personalize the necklace with the birthstones of all the grand kids. What grandmother or Oma wouldn't love showing off her grand babies? The disc hangs from a 14K gold filled cable chain.